There is a flying saucer parked in background. A dog has just peed on a fire hydrant. But it’s not a hydrant, it’s a alien And it says to the dog that this means war between their planets. 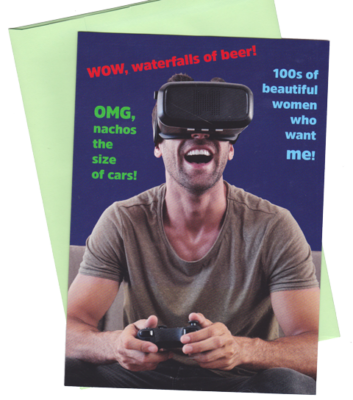 Perfect birthday card for the gamester in your life. Look for it soon online! 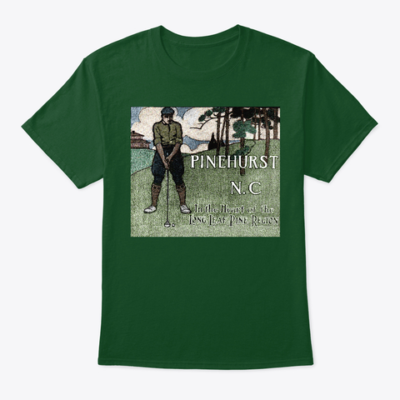 A T-SHIRT TRIBUTE TO HISTORIC PINEHURST GOLF. This retro image from 1909 salutes golf in Pinehurst, North Carolina, a tradition that goes back over 100 years. 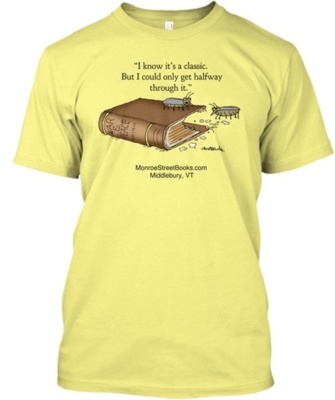 With 16 of the top-rated courses in the United States in the region, it deserves it’s own iconic t-shirt.